My daddy takes me on 5 walks daily. Ugh. The first morning walk is very short, just outside until I pee. At around 11:30 I take the longest walk. It is about 1.5 miles, maybe up to 2 miles. We go all around the neighborhood, following a fairly regular path. Between 3 and 3:30 comes the second longest walk, about 1 to 1.5 miles. We hit basically the same blocks, but not going as far away from home. At 6:30 ish I take a walk around the block. It’s a sort of meet, greet and pee. Then at 9 ish I take a simple pee walk. I’m exhausted. I hate walking and I make sure my daddy knows it. In fairness, when I put the brakes on my daddy will pick me up and carry me for a while. We call that “air-walking”. Once I recognize we’re halfway, I’m eager to walk because I know I’m going home. You’ve got a perfectly good backyard. 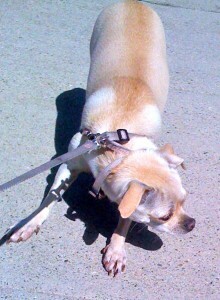 Why bother taking your little Chi on a walk. There are fleas, other dogs, hot sun, cold winds, wet sidewalks, garbage trucks, oogies to eat. Yuck. In spite of my feelings on the matter, there are apparently several good reasons for walking your lazy little Chi. Good exercise. This will keep your Chi lean and healthy. Especially if you tend to overfeed the little guy. Creates interest, keeps your dog’s brain active as they sniff the neighborhood. Helps prevent Alzheimer’s disease in dogs (they get it too). This is because new sights and sounds, people and smells, all serve to keep your Chi’s brain active and alert. Can be fun. See what’s going on in your neighborhood. Watch houses being remodeled or torn down. Peek inside your neighbor’s open garages and make snap judgments in your head. Oops, I don’t think most Chihuahuas do that. Breath in fresh air and clear your head. This may help the human more than the Chi. 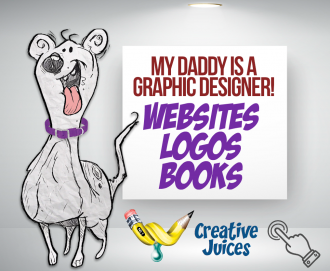 This routine works well for my daddy because he works at home doing some kind of graphic design. I don’t understand it, but he sits in front of a machine all day tapping a keyboard. Some people have to work outside their home. If that is you, you may not have the freedom to walk your Chihuahua so much. Because you left your Chi alone all day you may want to take an extra long walk in the evening, weather permitting. An early morning walk and lunch walk (if possible) would also be welcome. Share your stories on walking your Chihuahua. Anyone else have a Chihuahua street anchor? 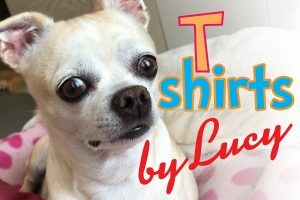 Subscribe to Lucy’s fun-tastic newsletter. It will be lots of fun and very interesting. As a Chihuahua, I have lots to say.